Tequila 374 Reposado has been aged in American oak Jack Daniel's barrels for nine months, creating a mellow taste and rich golden hue. 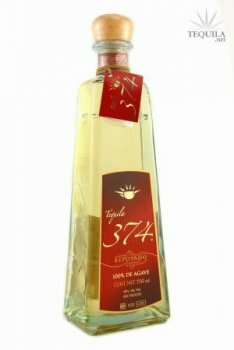 374 Reposado remains clean after this resting process but develops a full, fresh, fruity bouquet flavor. It is gentle to the palate with aromatic fragrances. 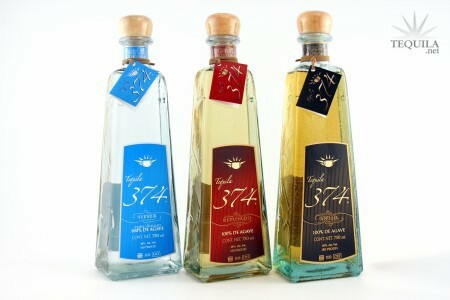 Our brand represents the area code for the city of Tequila, Jalisco and its surroundings. 374 is the birthplace of Mexico's national drink and pride. It was within the area 374 that Tequila was distilled for the first time back in the 1500s, making Tequila the first distilled spirit on the North American Continent. 374 Reposado NOM 1522 Tasted on 7/11/08 at 5:00pm. I tasted this tequila in my home and used a Riedel glass for tasting. 374 ages their Reposado in American Oak barrels for 9 months which causes it to be a pale yellow color. Intense floral and fruit aromas of this tequila are followed by moderate to intense notes of earth and moderate notes of spice. In the mouth, the Reposado is thin to medium and mellow. While the tequila is semi sweet, there is no bitterness. When examining the flavors of 374 Reposado, first impressions include intense floral and fruit accents with moderate to intense agave. On a second sip, I noticed mild flavors of earth with hints of vanilla. 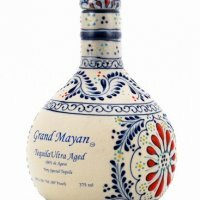 This tequila finishes with a long duration of flavor and subtle numbing alcohol intensity. I awarded 374 Reposado the rating of 89/90 points out of 100.